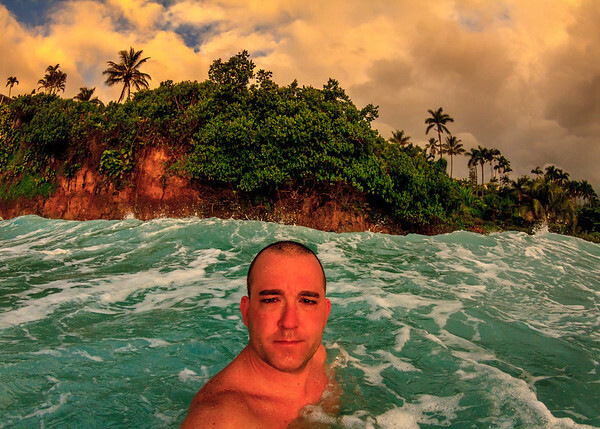 The power of the ocean, through its mighty waves, has always drawn in and captivated Jon Mikan. Through surfing, his eye for the beauty of the waves and the ocean convinced him to capture his sights on camera. Light, weather, and surf conditions, all when in just the right setting brings out the most extraordinary sights and Jon wanted to show the world what he sees in the waves. Hawaii’s volcanic activity has also managed to capture Jon’s eye, and he began to photograph these new sights as well. Armed with his camera, Jon goes into the fire or the water, seeks out the perfect sights, and captures them on photograph. Throughout Jon’s photography career, he has won contests for his work and was recognized for his skill in the news media. Jon was the first place winner at the 2014 Hawaii Photo Expo for the work he entitled as "Sunday". The Huffington Post give mention to his work, saying that he managed to take an “epic snap” of Halemaumau crater. Yahoo news, covering the same picture, calls it “stunning” and “incredible”. Jon was also aired on local news for his work. Jon’s work is nothing short of impressive to say the least.